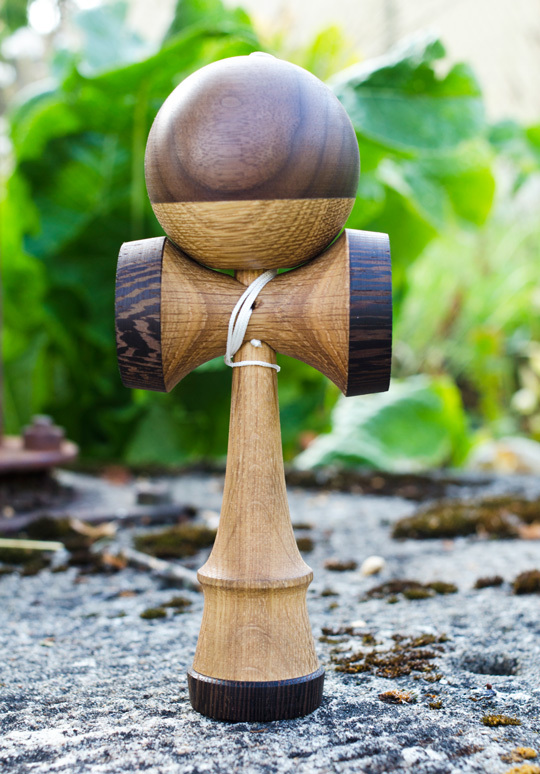 When I made my first kendama it was great but I made this one I got goosebumps. Ken is made of oak with wenge cups. Tama is walnut and oak. Stylish bag and 1,5 m string included.